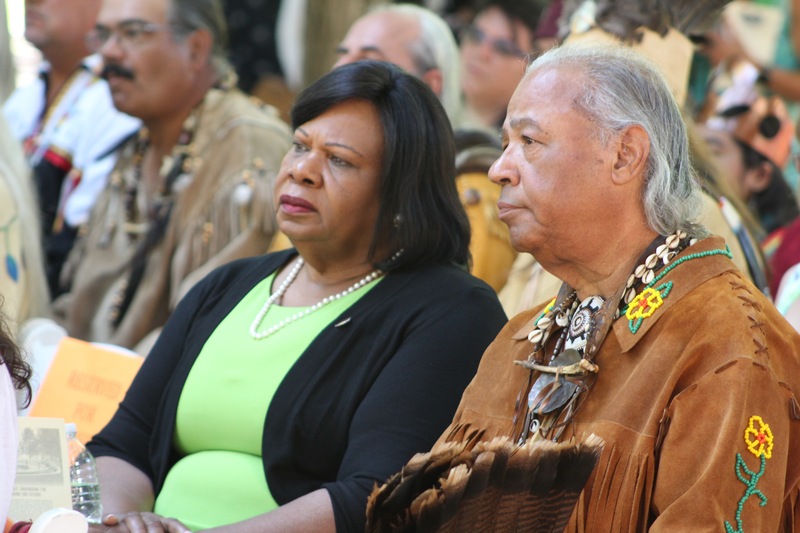 Dorothy P. Seawell, widow of former Capitol Police Chief William Seawell, spoke with Col. Anthony S. Pike, the current chief, at the opening of the new exhibit commemorating the 400th anniversary of the police force. 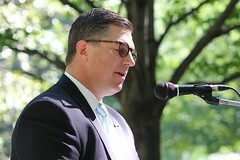 An exhibit celebrating the 400-year history of the Virginia Division of Capitol Police opened at the Capitol on Aug. 27. Curated by the Library of Virginia and displayed in the large hall just behind the gift shop inside the Virginia Capitol’s entrance at 10th and Bank streets, the exhibit is to remain until the opening of the 2019 General Assembly session in January. 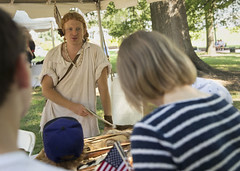 The exhibit incorporates research undertaken in recent years by academic interns from Virginia Commonwealth University’s History Department, who helped the Capitol Police detail history dating to its formation in 1618 at the first permanent English settlement in Jamestown. 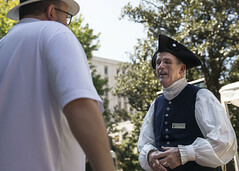 Features from the exhibit include custom uniforms from the 16th, 17th and 18th centuries as well as three authentic uniforms from the 19th and 20th centuries, two of which were the actual uniforms of Capt. William A. Seawell, the Capitol Police chief from 1961-70, and Col. Anthony S. Pike, the current chief. The first segment of a showcase in the exhibit, showing some of the earliest uniforms, (front) of Capitol Police uniforms. 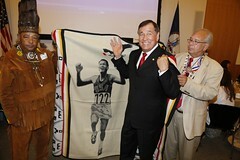 Seawell’s uniform was part of an extensive collection of his papers and other memorabilia that was loaned to the division by his widow, Dorothy P. Seawell, who attended the exhibit’s opening. Seventh in a series of collectible ornaments, the 2018 Official Capitol Square Ornament celebrates The 400th Anniversary of the Capitol Police, a beloved institution on Capitol Square. Capitol Police also were able to partner with the Virginia Capitol Foundation and Capitol Square Preservation Council to create a holiday ornament that represents the agency’s 400th anniversary. The ornament is on display alongside a collection of division badges and patches. Download the full press release for the opening of the exhibit. Read weekly vignettes about the history of Virginia Capitol Police on their website blog. Learn more about the importance of Virginia Capitol Police with an interactive timeline on their website. 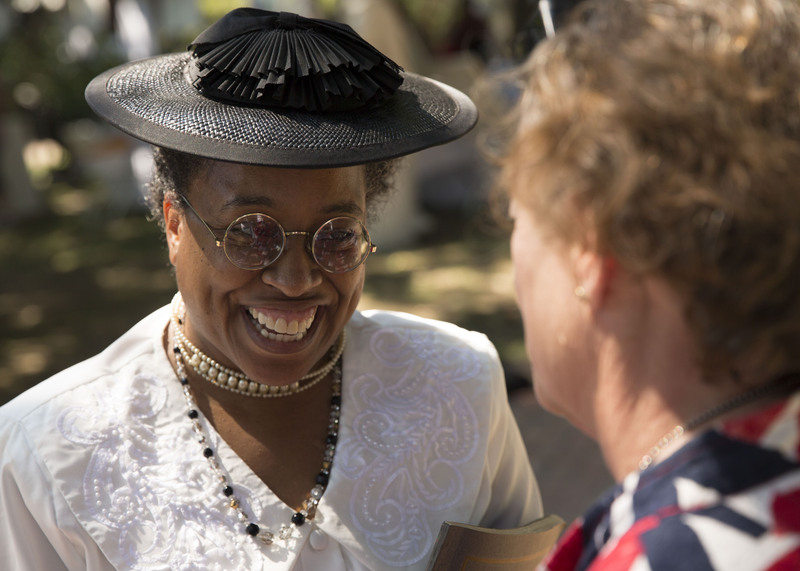 A visionary Native American chieftain, a brave Jamestown settler, an influential African-American educator and a passionate advocate for woman suffrage and the arts will be the first four bronze statues commissioned for Voices from the Garden: The Virginia Women’s Monument, the nation’s first monument recognizing the full scope of significant but often unrecognized contributions of women. 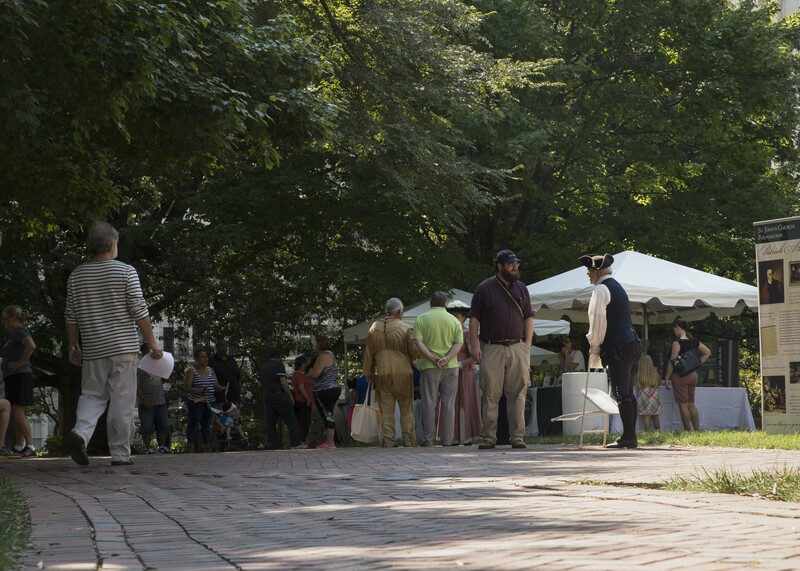 In May of 2017, StudioEIS held a 3-day photo shoot in Brooklyn, N.Y., where female actors in period dress posed as the 12 women who were selected to be recreated as life-size statues in the Virginia Women’s Monument. Experts with 3-D scanners will transform the photos into final models for the sculptures that will eventually find a home within the oval-shaped plaza on Capitol Square in Richmond. Additional images from the photo shoot can be found on the Virginia Capitol Foundation’s Facebook page and a short video of the studio shoots can be seen here. Construction on the monument’s plaza in Capitol Square began in June 2018. 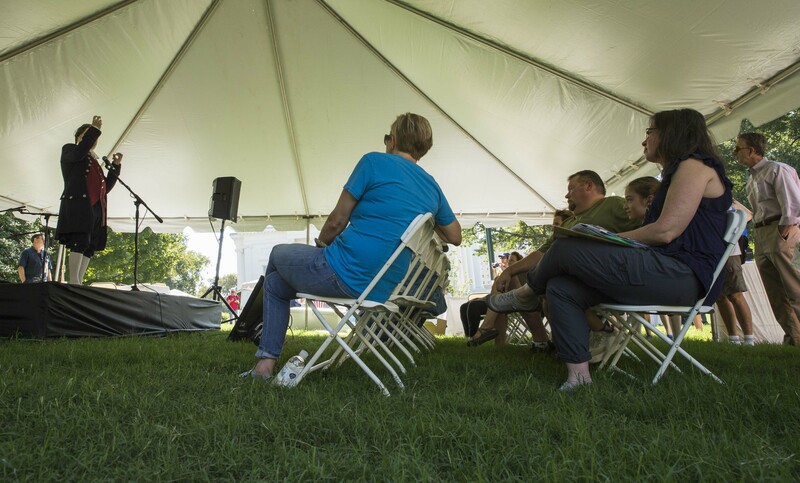 See the full list of women paid tribute to and a detailed description of this new monument on Capitol Square along with the committee charged with the project’s concept and completion at Voices from the Garden: The Virginia Women’s Monument. View a short film of the actors in period dress at StudioEIS for sculpture creation. Download the full press release with additional media content. See the StudioEIS Art Direction photo montage. The centerpiece of “Mantle” is a fountain inscribed with the many Virginian native tribes names and the rivers associated with their names. Mantle is now complete. 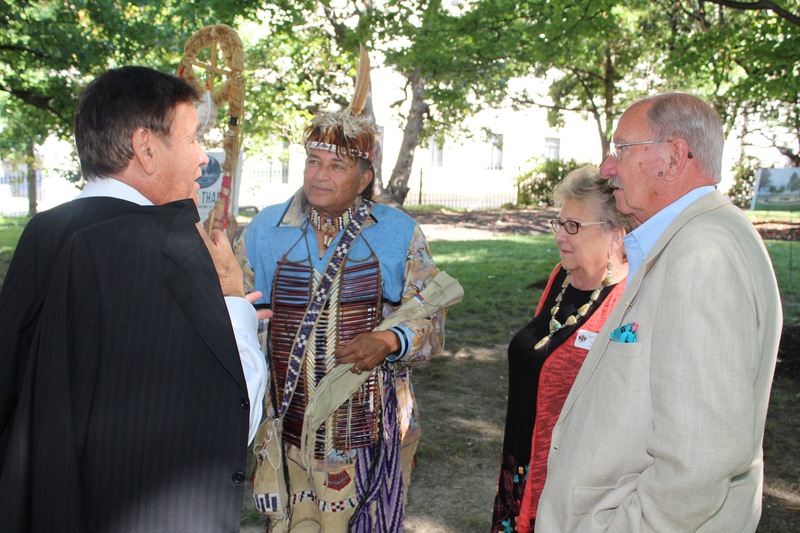 Located adjacent to the Bell Tower on Capitol Square, Mantle serves as the first monument to honor the important heritage and history of the Virginia Tribal Communities. Designed by Alan Michelson, a member of the Mohawk Tribe and a renowned New York-based installation artist, this remarkable monument serves as a meditation space where visitors can either walk the labyrinth or sit and contemplate. 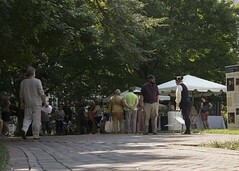 It is also a gathering spot where groups can formally or informally assemble. We hope you will visit soon! 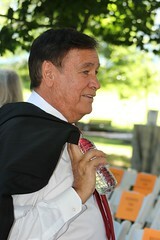 Billy Mills addressed attendees at the Virginia State Capitol. 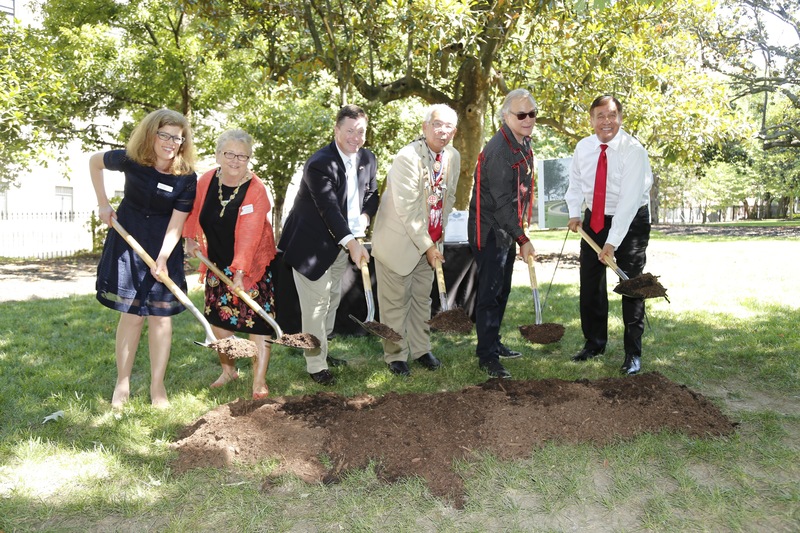 On Saturday, June 24, 2017, the Virginia Indian Commemorative Commission and the Virginia Capitol Foundation hosted the groundbreaking ceremony for the Virginia Indian Tribute. 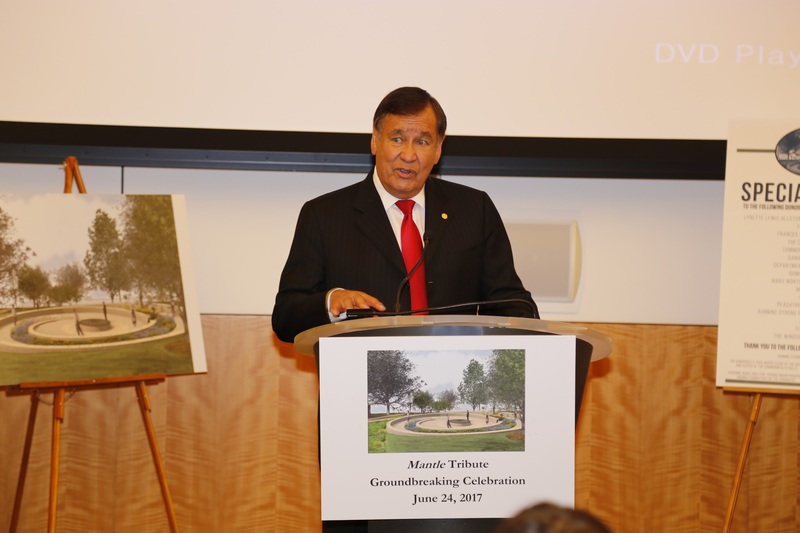 This monument, entitled “Mantle”, recognizes the lasting legacy and significance of American Indians in the Commonwealth. 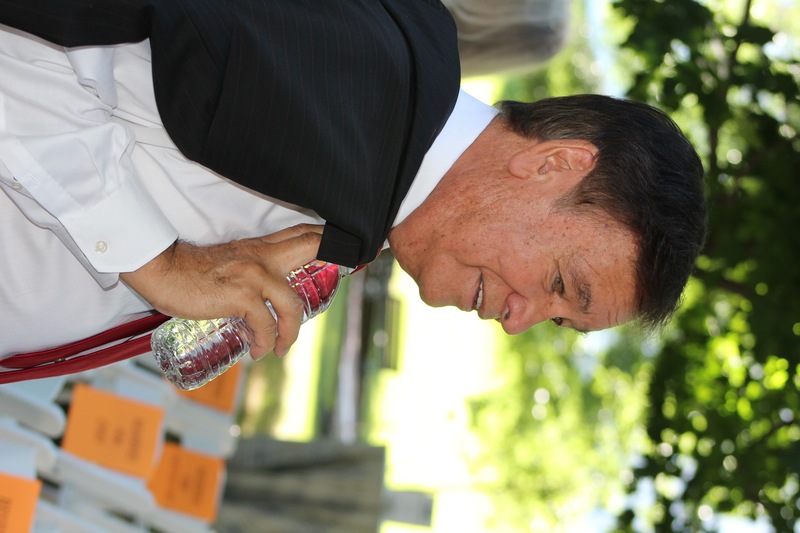 The featured speaker at the groundbreaking was Billy Mills, member of the Oglala Lakota (Souix) tribe and the Olympic gold medal winner of the 10,000 meter run in the 1964 Tokyo Olympics. 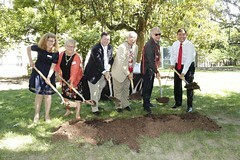 The groundbreaking ceremony took place at 10 a.m. on Saturday, June 24 in Capitol Square, located at 1000 Bank Street in Richmond. The public was invited to join in the groundbreaking ceremony. 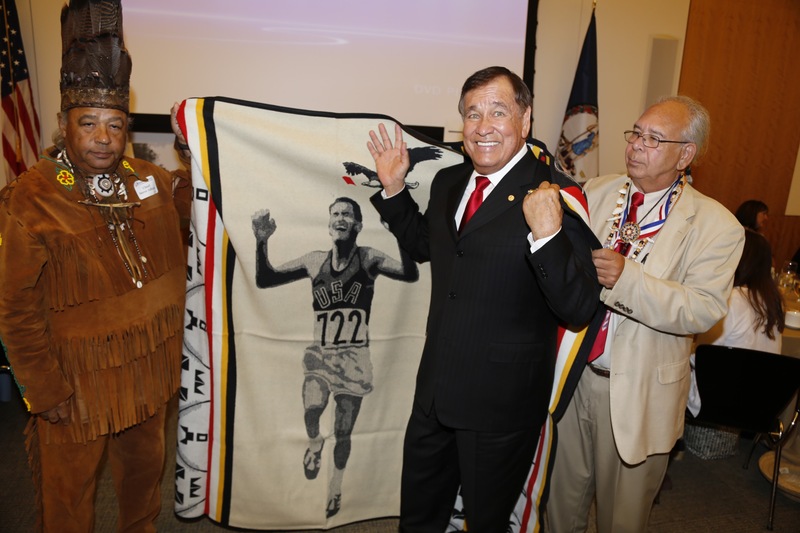 The groundbreaking celebration was made possible by the Running Strong for American Indian Youth Foundation, co-founded by Billy Mills to help American Indian people with their immediate survival needs and strengthen American Indian communities across the nation. The total cost for the monument was nearly $900,000. Thanks to our many contributors and sponsors in seeing the project from concept to completion. 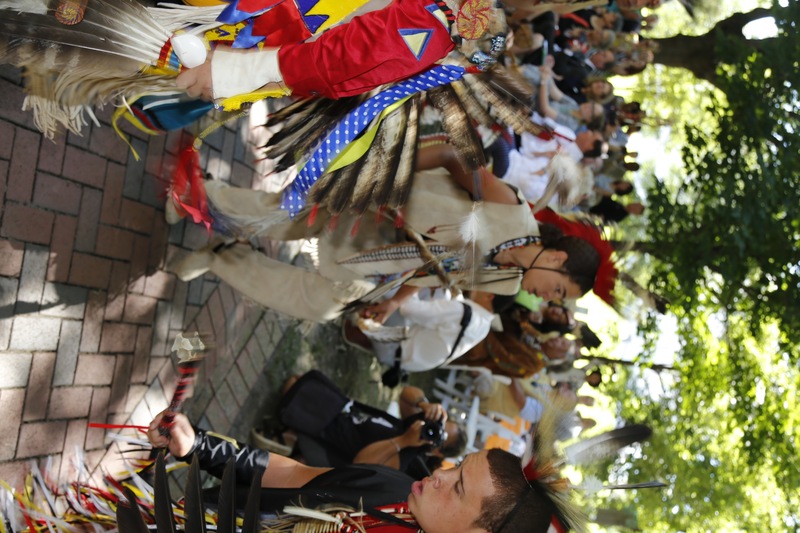 Important donations to note are; $100,000 matching grant from the Mary Morton Parsons Foundation and a 2:1 matching grant from the Cabell Foundation, plus donations from NewMarket, Dominion, the Windsor Foundation, Titan America, and the Running Strong for American Indian Youth Foundation. 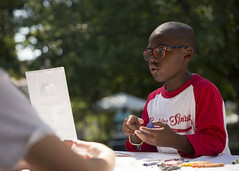 See the Richmond Times-Dispatch Story. 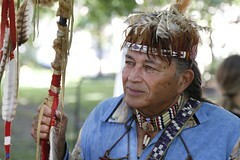 See the Indian Country Media Network Story. Read an article from the Virginia Foundation for the Humanities. See photos from the Virginia Foundation for the Humanities. Download the Press Release for this past Event. 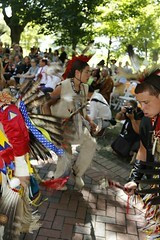 Download the ceremony invite which was open to the public. 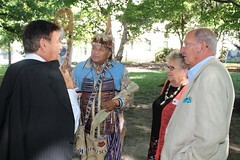 Photos from the Groundbreaking ceremony at the new monument site can be seen below. Virginia State Delegate Rosalyn R. Dance (Dist. 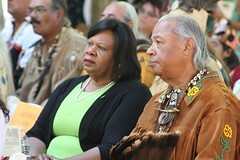 16) and Chief Stephen R. Adkins were in attendance at the ceremony. 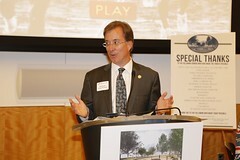 Virginia State Delegate Paul E. Krizek - (44th District) addresses attendees in the Virginia State Capitol. Troy Adkins performs ceremonial dance at the groundbreaking ceremony. 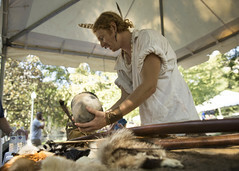 Native peoples have lived in this land we know as Virginia, for thousands of years. 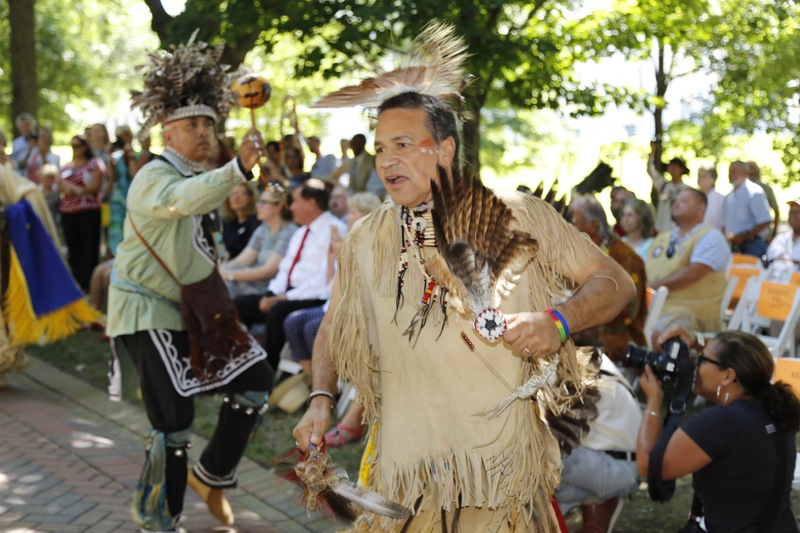 Despite hardships brought about by the loss of their land, language, and civil rights, many Virginia tribes persisted and their members have continued to contribute to the Commonwealth through agriculture, land stewardship, teaching, military and civic service, the arts, and other avenues. 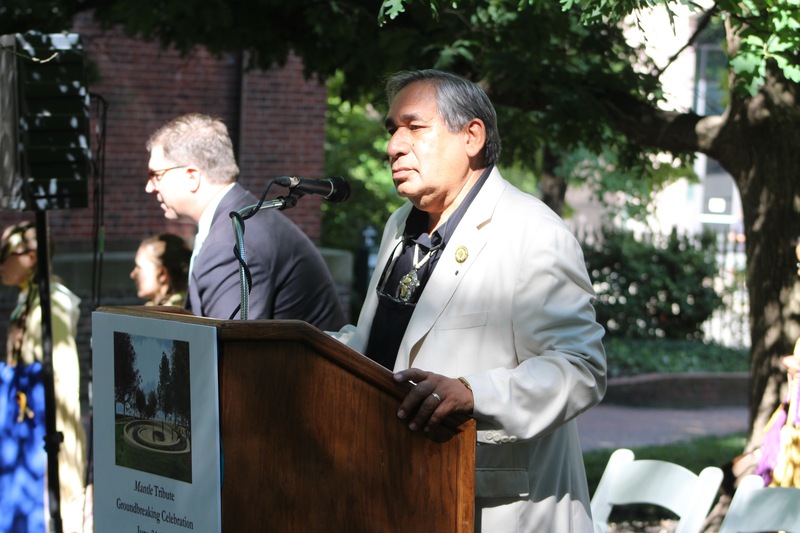 In recognition of their lasting legacy and significance, as well as to ensure that the rich and inspiring stories of our native peoples will endure, the Virginia Indian Commemorative Commission was established by the General Assembly and the Governor with the purpose of erecting a permanent monument on Capitol Square. 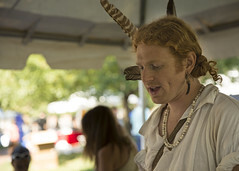 Following a competition that attracted artists from across the country, Alan Michelson’s design, Mantle, was chosen to represent the Virginia Indian Tribes, past and present. Oriented to the earth and incorporating existing trees in the area, Mantle combines four integrated spiral elements to create the shape of a Nautilus, a shell which represents strength, knowledge of the past, continuous growth, and beauty. The inspiration for the shape originated with the embellishments on a ceremonial robe, or mantle, worn by Powhatan, the paramount chief. 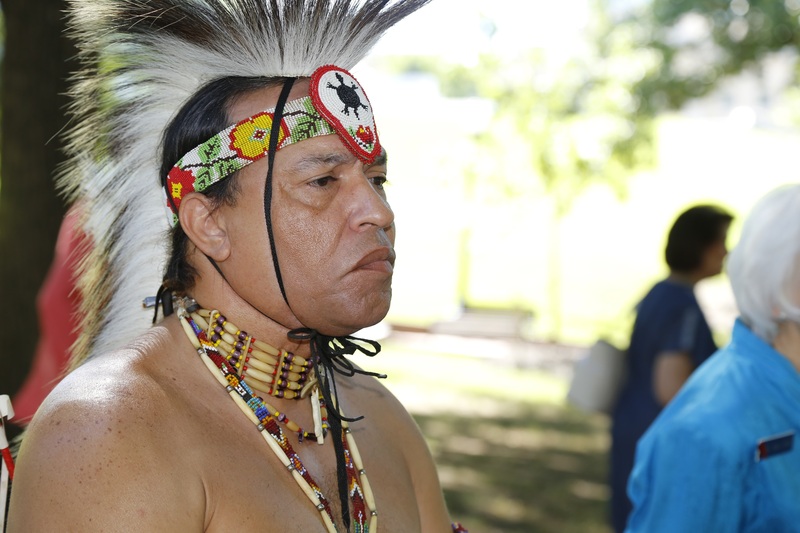 A five-foot wide winding footpath following the outline of the monument will serve as a labyrinth which in some Indian cultures represents a sacred path to the home of an ancestor. In addition to the path will be a continuous, smooth stone wall, which also serves as a bench. In the communal center of the monument in honor of the river culture of the tribes will be a circular waterfall with a shape inspired by the “peak” shells which were highly prized by Virginia Indians. 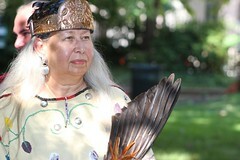 The Indian names of Virginia rivers will be arranged in a spoke pattern radiating from the center. Natural landscaping throughout the monument will consist of a selection of perennial native plant species, including wildflowers. Mantle’s “labyrinth” leads visitors its waterfall centerpiece. Mantle will serve as a meditation space where visitors can either walk the labyrinth or sit and contemplate. 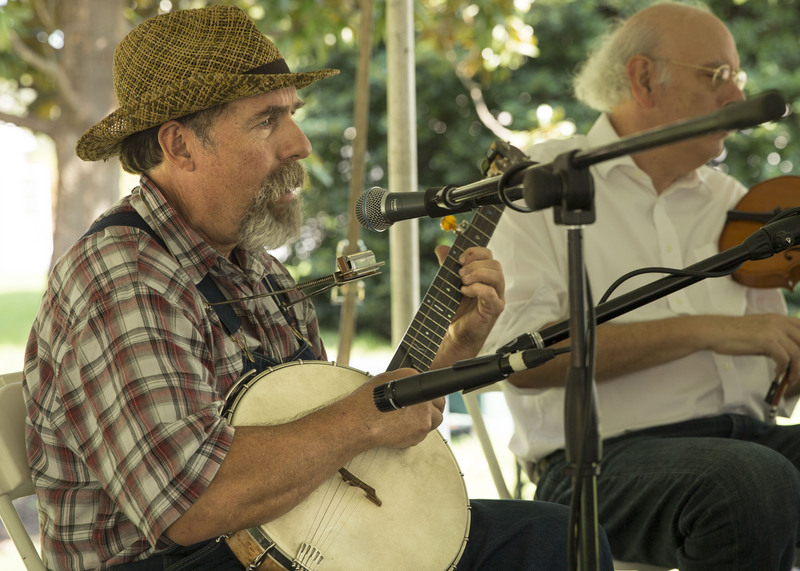 It will also be a gathering spot where groups can formally or informally assemble. As a communal area, Mantle creates a respectful relationship with the surrounding natural world, reflecting the positive values, which set the Indians apart from other cultures. 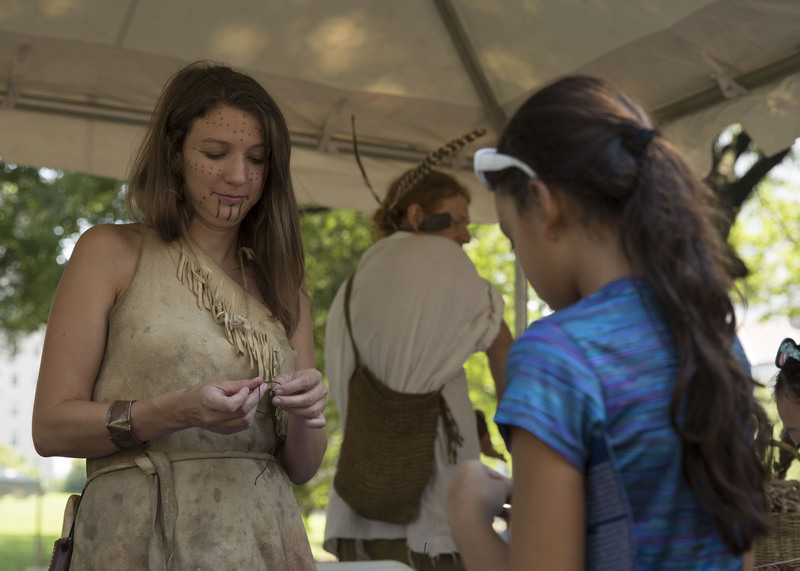 Finally, through state-of-the-art educational programs developed, Mantle will serve as a vehicle to educate the community by bringing awareness of the history and culture of the Virginia Indians. To see more details about the Monument and please visit the Virginia Indian Commemorative Commission Website. The 2018 Annual Capitol Square Ornament is Available! The Division of Capitol Police has the distinct honor and privilege of being recognized as the ﬁrst organized policing agency in the nation and will celebrate its 400th anniversary in 2018. 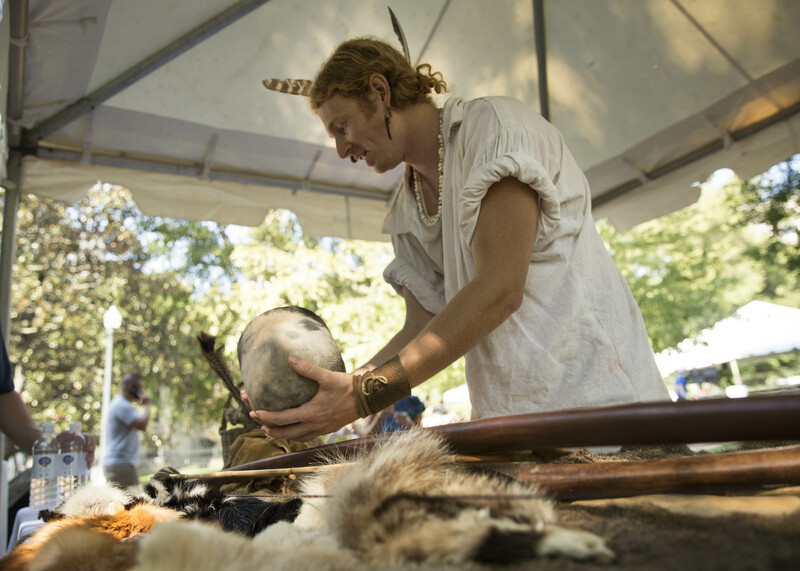 Our historical roots originate at the ﬁrst permanent English settlement in Jamestown, Virginia. 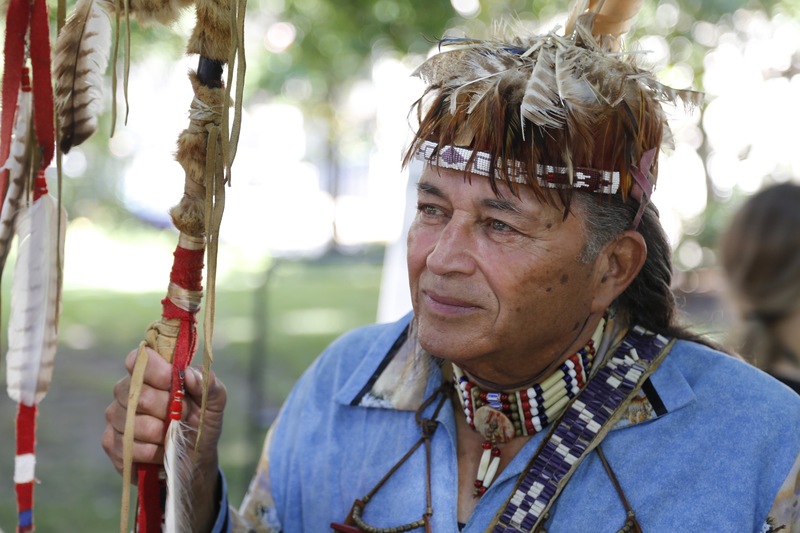 In 1618, the Guard, consisting of 10 men was formed to protect the Governor from the hostile Indian population. By 1663, the force was expanded to a force of 20 men and assigned to protect the Governor, the Council, and the Colonial Assembly. 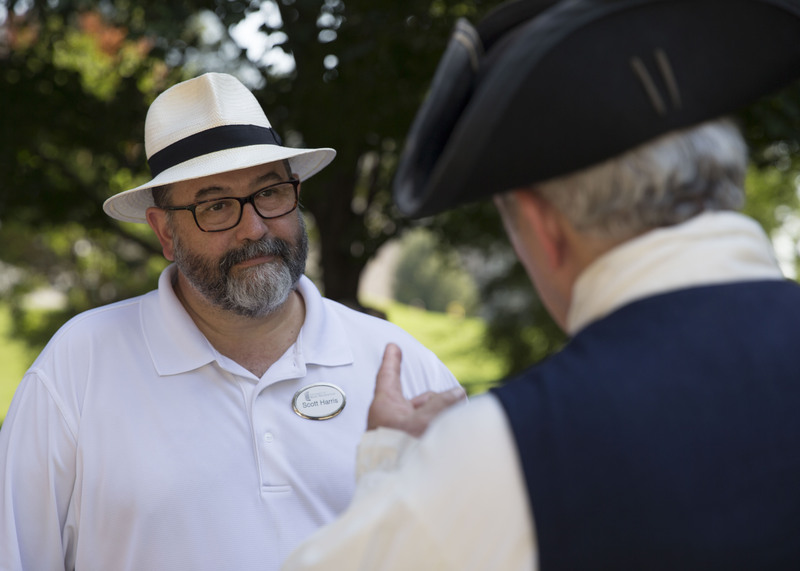 The capital was moved to Williamsburg, Virginia in 1699 where the Guard remained an important part of the executive and legislative process. 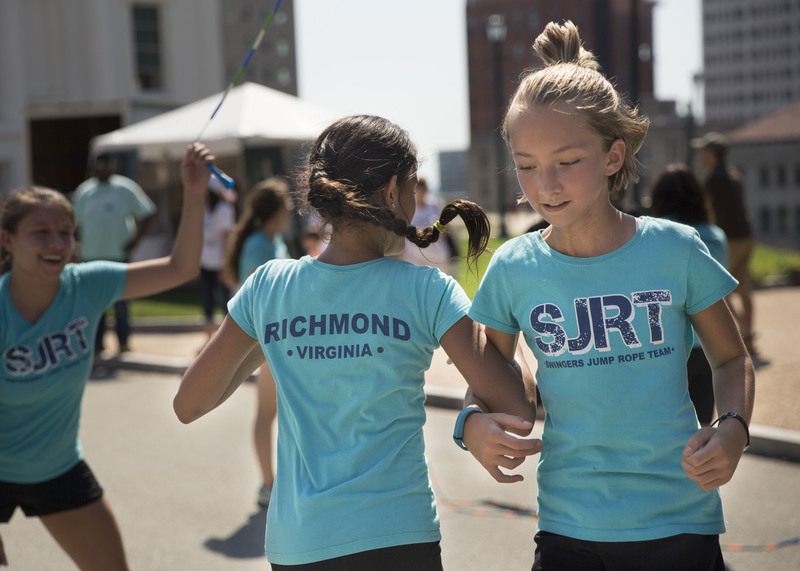 In 1780, the capital of Virginia was again relocated to a safer location, its present home in Richmond. The term “Capitol Police” was ﬁrst used in an act of the Virginia General Assembly passed on January on January 28, 1884. This act provided “for the appointment of Capitol Police certain other employees about the Public Buildings and Grounds.” The Capitol Police have steadily expanded in size and remain in service to this day. 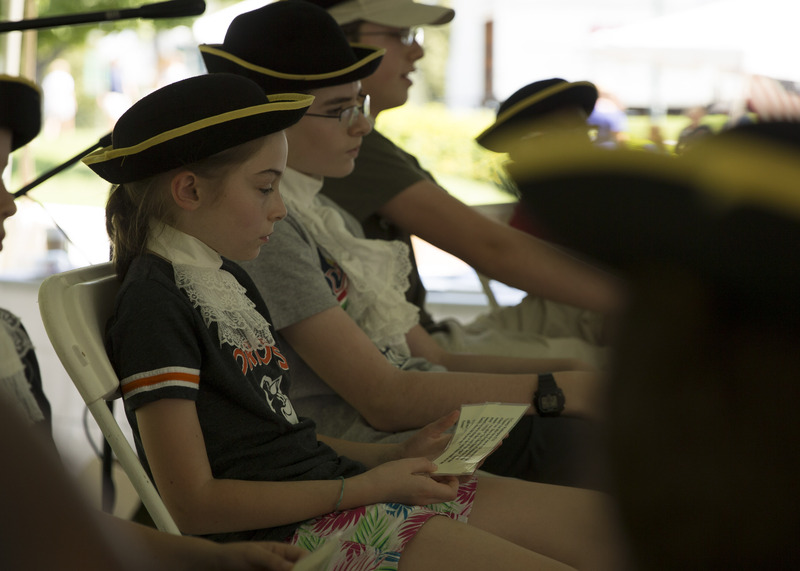 The Virginia State Garrison Regiment, 1778-1780 – Learn more about the importance of Virginia Capitol Police with an interactive timeline on their website. Ornaments are available at The Virginia Shop at the Capitol and in the Capitol at the Lower Rotunda reception desk. Ornaments are also available at the Bell Tower by appointment only please call ahead by contacting Andrea Siebentritt, Communications & Development Coordinator at (804) 786-1010. New this year: lower shipping rates! Download the Ornament Order form (past years’ ornaments options are available). If you have any questions or concerns regarding ornament orders or other donation opporunities, please contact us. The official Capitol Square ornaments are a series of annual collectible ornaments, featuring the historic treasures of Capitol Square. Finished in brilliant 24K gold, made entirely in the U.S.A, and presented in a handsome gift box, the ornaments are a perfect gift for colleagues and friends. 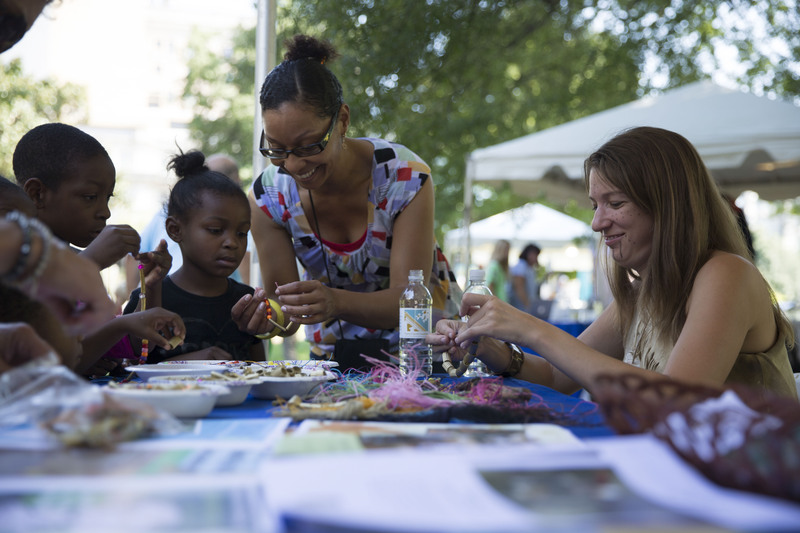 All proceeds support the Virginia Capitol Foundation’s mission to enhance the educational and cultural potential of Capitol Square’s historic treasures through program development and community engagement. The First Annual Ornament, introduced in 2012, features the Jefferson-designed Capitol. The Second Annual Virginia Capitol Ornament, introduced in 2013, features the historic Bell Tower. The Third Annual Ornament introduced in 2014, features a true historic Executive Mansion. The fourth Annual Ornament introduced in 2015, features the George Washington Equestrian Monument. The fifth in the series of ornaments for 2016 was a commemorative tribute to Thomas Jefferson, “Architect of Liberty”. The sixth annual ornament for 2017 featured “The Fountain at Monument Walk” representing the fountain location at the base of Monument Walk. The Fountain has adorned Capitol Square since 1852. For 2018, we are excited to release the seventh in this ornament series celebrating The 400th Anniversary of the Capitol Police, a beloved institution on Capitol Square. Please see all ordering options above. The First Annual Ornament, introduced in 2012, features the Jefferson-designed Capitol. The Second Annual Virginia Capitol Ornament, introduced in 2013, features the historic Bell Tower. The Third Annual Ornament introduced in 2014, features a true historic Executive Mansion. The fifth in the series of ornaments for 2016 was a commemorative tribute to Thomas Jefferson, “Architect of Liberty”. The fourth Annual Ornament introduced in 2015, features the George Washington Equestrian Monument. The 2017 ornament, “The Fountain at Monument Walk” ornament represents the fountain location at the base of Monument Walk. See all prior years’ ornaments available for purchase. 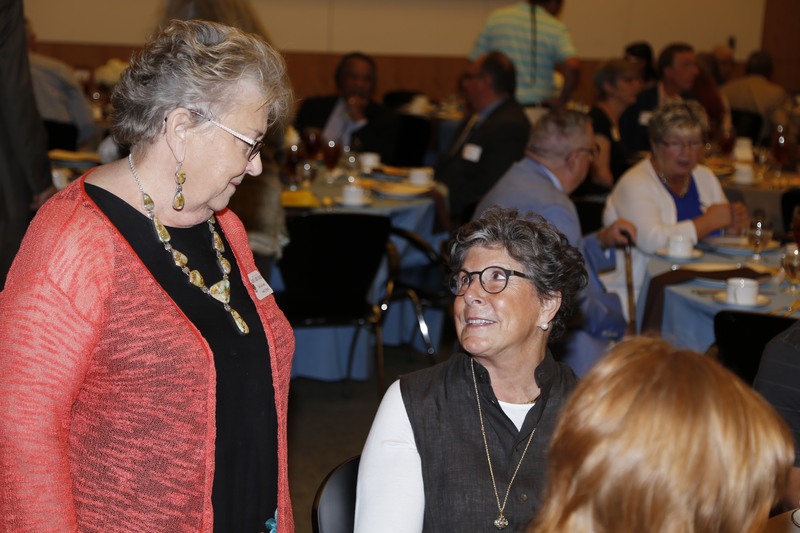 The Sept. 7 event supported monument honoring contributions of Virginia women and proceeds help fund sculpture of Adèle Goodman Clark. 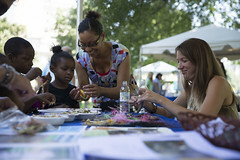 Author and television personality Jenna Bush Hager, daughter of President George W. Bush and First Lady Laura Bush, will headline a special event hosted by the Virginia Capitol Foundation to raise awareness of and build community support for Voices from the Garden – the Virginia Women’s Monument on Capitol Square. 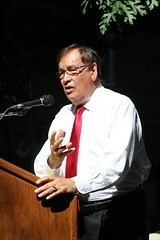 This marks Hager’s first public speaking appearance in Richmond. “A Conversation with Jenna Bush Hager” took place at St. Catherine’s School on Thursday, September 7. The public was invited to attend. 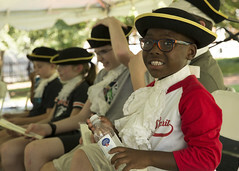 Sponsors for the event were Dominion Energy, Altria and St. Catherine’s School. 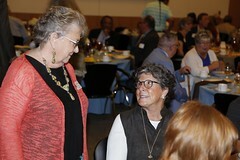 Following an introduction by Susan Allen, former Virginia First Lady and Chair of the Virginia Capitol Foundation, Hager engaged in a lively discussion of the challenges that today’s women face in their efforts to balance the daunting demands of a busy career with a fulfilling personal life. Also, she shared insights about the female role models in her life, along with hopes and dreams for her own daughters, among other topics. Download the Press Release for this Event. The program was designed as a casual and fun Q&A conversation with Jenna Bush Hager. Kay Coles James, who served in the administrations of President George H.W. Bush and President George W. Bush and was Virginia Secretary of Health and Human Resources under Governor George Allen, served as moderator. 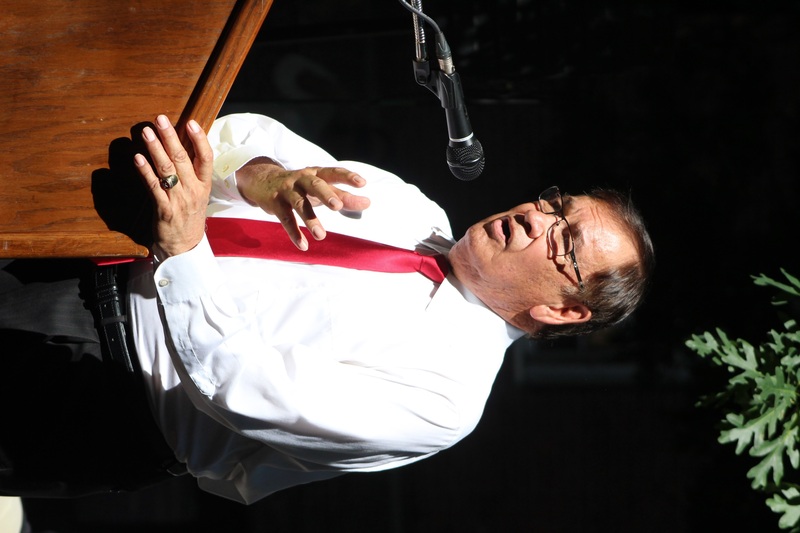 Currently, James is President and Founder of the Gloucester Institute, a leadership training center for young African-Americans. Proceeds from the event’s ticket sales will be allocated toward commissioning the life-size bronze sculpture of Adèle Goodman Clark. Clark is one of the 12 female figures selected for the Virginia Women’s Monument, representing women who made significant but often unrecognized contributions to shape the 400-year history of the Commonwealth. She was a founding member of the Equal Suffrage League of Virginia, a founder of the Virginia Museum of Fine Arts and a 1901 graduate of Virginia Randolph Ellett School, the predecessor of St. Catherine’s School. 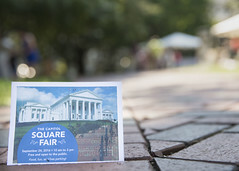 Virginia Capitol Foundation, has been working steadily in raising funds for the Virginia Women’s Monument, when finished and unveiled in two or three years, is intended to be a thought-provoking and interactive experience as visitors walk among the 12 sculptures in an oval-shaped garden. 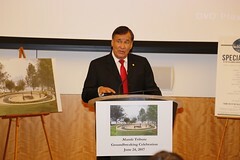 Designed by Ivan Schwartz of StudioEIS, this monument will be the first of its kind in the United States. In addition to the voices of the featured figures, a Wall of Honor will contain names and narratives about the struggles and accomplishments of many more women. 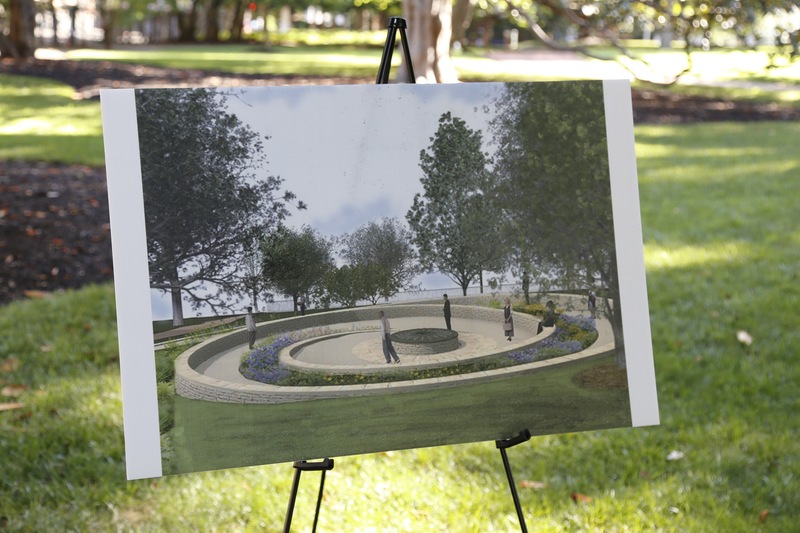 This innovative monument will highlight Virginia women’s accomplishments across four centuries, and beyond. In 2008, she married Henry Hager and they have two girls, Mila and Poppy. 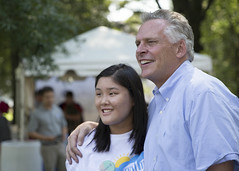 A graduate of St. Christopher’s School in Richmond, Henry Hager is the son of former Virginia Lieutenant Governor John H. Hager and Maggie Hager, who serves on the board of the Virginia Capitol Foundation. Learn more about the Virginia Women’s Monument and how to donate to the cause. 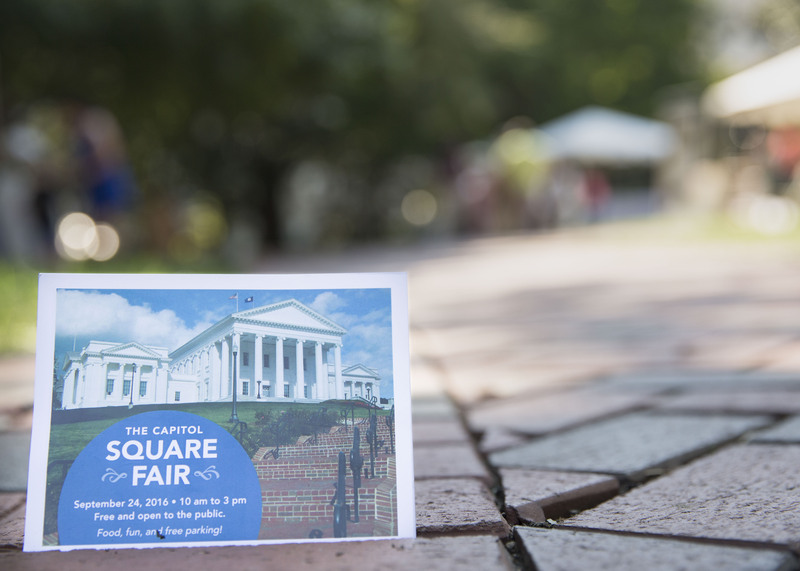 The Virginia Capitol Foundation is the independent, non-profit, non-partisan, tax-exempt organization supporting the ongoing restoration, preservation, and interpretation of the Virginia Capitol, Capitol Square and Executive Mansion. To learn more about the monument and the Women’s Monument Commission, to nominate someone for the Wall of Honor or to make a financial gift supporting the monument, click the button below. Learn more about the Virginia Women’s Monument. Among the oldest in the nation, this 12-acre park is home to the National Historic Landmark Virginia State Capitol designed by Thomas Jefferson, the oldest purpose-built U.S executive mansion still serving as a governor’s residence, and many monuments and memorials. Walk winding paths in a landscape that has both seen and shaped American history. Garden secret: This park has an empty crypt. The George Washington Equestrian Monument was to be the President’s final resting place, but he remains buried at his Mount Vernon home. Tens of thousands of Virginia’s students will soon learn more about Virginia’s central role in American history, thanks to a new film, Keepers of the Flame, being produced by the Virginia Capitol Foundation with assistance from actor, filmmaker and Virginia native Tim Reid. 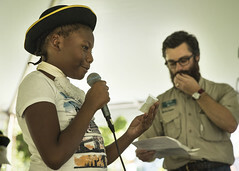 Filming is complete, edits are being made, and the 20-minute visually-interactive film is expected to debut at the Virginia Capitol’s Visitor Center in the fall. Narrated by Thomas Jefferson, portrayed by Bill Barker, the film will enhance student visitors’ experiences by featuring compelling stories of individuals who have made an impact on Virginia history – from well-known figures like Jefferson and George Washington to lesser-known citizens like Barbara Johns who proved that everyone can make a difference. This film coupled with the Capitol’s dynamic educational programs and exhibits hopes to tell the story of Virginia’s representative government, celebrate the Commonwealth’s central role in American history and inspire viewers to appreciate and become involved with public service. 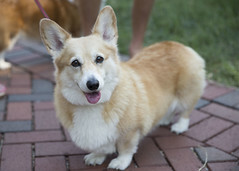 We express our appreciation to these generous donors for funding they provided to produce Keepers of the Flame: Robins Foundation, Parsons Foundation, Dominion, Philip Morris USA, Genworth, MeadWestvaco, Windsor Foundation, Wachovia, Gwathmey Memorial Trust, Gilder Lehrman Institute, & many individuals. The General Assembly has released a state of the art virtual tours website that brings Virginia’s State Capitol to the citizens of Virginia. 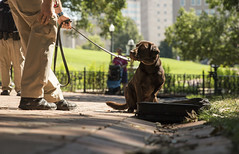 The website provides online tours of both the Capitol Grounds and the Capitol Building. Visitors to this interactive website will have the ability to explore areas on their own or view video presentations. Please note the virtual tours website requires the Adobe Flash Player. You can download the Flash Player at the Adobe website at no charge. If you do not have the Flash Player plug-in installed, you will be prompted to install it before any content is shown. For visitors with special needs: An accessible segment of this website has been created for those visitors who use technology other than standard web browsers to view web content.